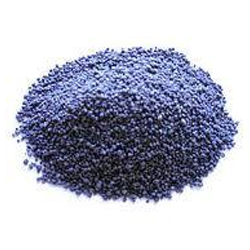 Diammonium phosphate (DAP) (chemical formula (NH 4) 2 HPO 4, IUPAC name diammonium hydrogen phosphate) is one of a series of water-soluble ammonium phosphate salts which can be produced when ammonia reacts with phosphoric acid. Solid diammonium phosphate shows a dissociation pressure of ammonia. Founded in the year 2003 as a Sole Proprietorship company at Vapi (Gujarat, India), we “P J Chemicals” are recognized as the leading manufacturer, trader, exporter and importer of a broad assortment of Water Soluble Fertilizer, Agro Chemicals, Industrial Chemicals, Industrial Solvents, etc. Owing to features such as precise composition, long shelf life, highly effective and safe to use, these products are highly appreciated among our patrons. We are importing and exporting these products across the globe. Under the guidance of “Mr. Anil Rathhod” (Owner), we have achieved a significant name in this industry.